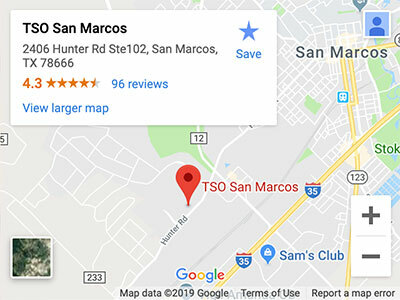 Please walk-in to TSO San Marcos with red eyes, pink eye, or scratched eyes for immediate attention in San Marcos, TX. 80% of your child's learning in school is visual. 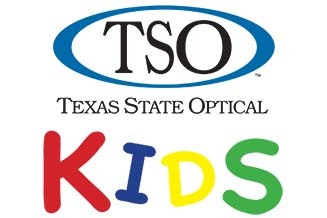 San Marcos TSO Kids specializes in eye exams & eye care for children. Our optometry office prides itself on customer service and satisfaction. Our dedicated and friendly staff are trained optometrists filled with energy and wisdom, ready to help you with your eye care needs. Some of our staff has been working with us for over 25 years; we know our patient’s names, and we know about their families. We have the hardest working, compassionate, most helpful staff in town, who are ready to answer each and every question you may have. We also have bilingual staff members, available to help with an exam or questions in your native language at any time. We care about you like we care for our family. And we give back to our community; we are involved in community events at the Lions Club, the Chamber of Commerce and the Rotary Club. Where do I start, Dr.stanfield was great with my patient care, and his amazing tech Ashley. 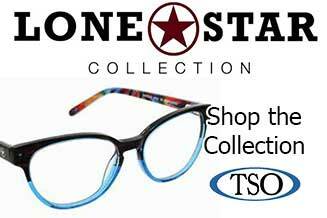 Tso has a variety of glasses at FANTASTIC price ranges. My experience there from the beginning was stupendous, they have these really comfortable chairs that felt like I was sitting on a cloud. The sales representative that helped me pick the perfect glasses was super super helpful! I’m not too sure if her name was Mel or Melanie, everyone is super nice here. Stop by and get your ojos checked, tambien hablan español!! Love my new transition contact lenses thank you! Melanie was the best! She was very knowledgeable, caring, and very helpful when deciding what frame I should have. I really appreciate all her help and the price was very reasonable. I will be telling my friend about this place! My son was really happy with his visit and got some real nice glasses. I've seen Dr. Turner the last 4+ years for my annual eye exam. Over the last year, I've developed a serious eye infection in my right eye (lster had chelazion removal surgery by an opthamologist in Austin) and she worked me in right away, was incredibly thorough and got my eye healthy again. I completely trust her judgement and expertise. She's smart & compassionate too. 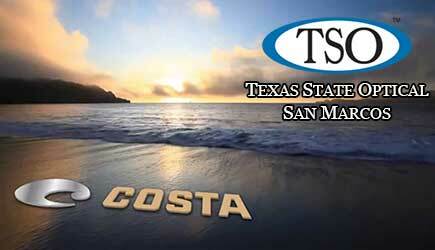 Looking for an Optometrist in San Marcos? Look no further! 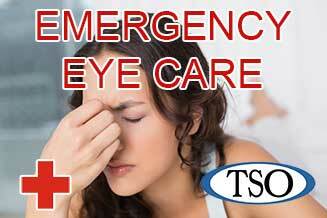 Whether you need an optometrist for a routine eye exam, to find the right pair of contact lenses or eye glasses, or for more advanced eye care services, you want to know that the eye doctor you are seeing has the experience, expertise, and personality to make your visit a great experience. Our optometrist, Dr. Stephen Stanfield, has been serving the San Marcos community for nearly 30 years. 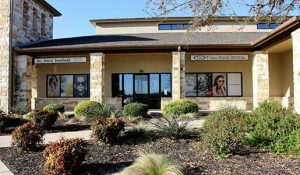 Our state-of-the-art office also provides family optometry and eye examination services to nearby Wimberley & Canyon Lake. Schedule an appointment today or feel free to walk in and browse our huge selection of designer eyewear with our fashion forward opticians. Q: Can I wear contacts when I’m swimming? You can wear Contacts while swimming, I always did, but you cannot open your eyes under water or they will come off your eyes.